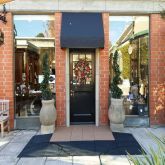 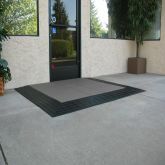 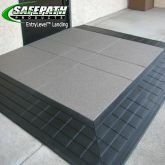 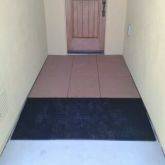 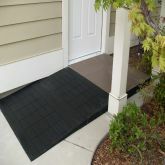 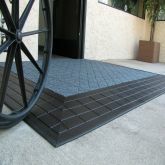 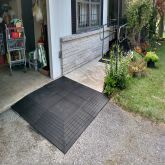 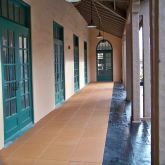 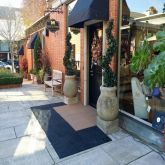 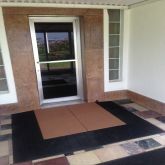 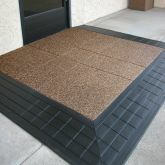 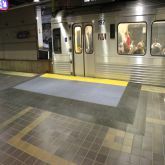 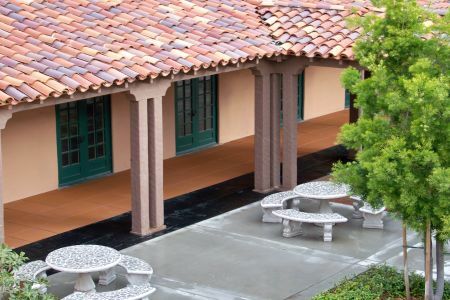 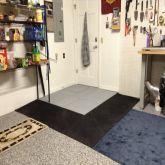 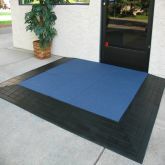 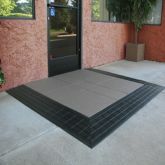 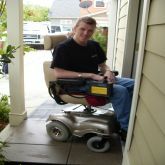 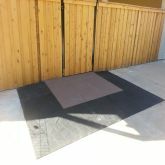 EntryLevel™ Landings are the first and only prefabricated product designed to assure compliance with ADA regulations and access code laws at most door entrances. 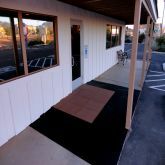 One of the largest code violations occurring in the building industry today is the lack of a level landing area at doorways. 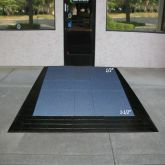 In many commercial and public main entrances, it is required that there is a level maneuverable clearance area. 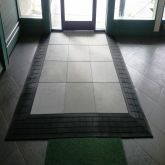 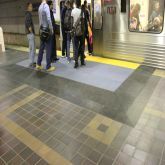 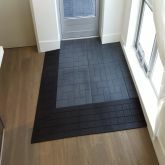 Imagine a door threshold product that can be installed in minutes made from 100% green sustainable materials at a fraction of the cost of concrete demolition and construction. 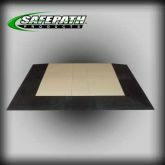 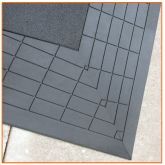 If you need assistance selecting the correct product, contact our sales department and our design team will help you find the best solution to fit your specifications. 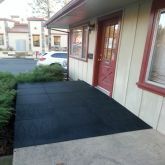 30,996 California waste tires were diverted from the waste stream/landfill.